I have heard so much about Buffalo Mozzerella that when I saw a buffalo milk cheese on sale at Whole Foods, I jumped at the opportunity. To me, Buffalo milk seems so exotic. I was excited to finally try such a cheese. 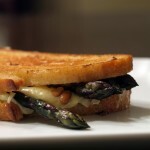 Fans of Taleggio – and who isn’t? – will want to seek out Quadrello di Bufala, a new buffalo-milk version of the beloved square cheese from Lombardy. Taleggio requires cow’s milk by definition, so there was never a question of calling the bufala cheese by that name. But the family resemblance is obvious. 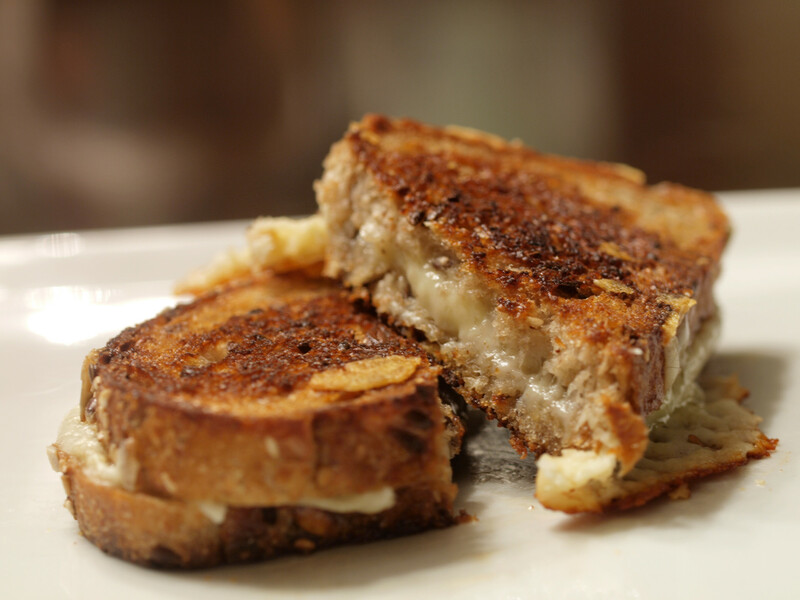 FYI: I have yet to feature a sandwich using Taleggio, but did highlight a Wall Street Journal grilled cheese recipe that includes Taleggio. 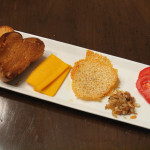 At first bite, I was a little turned back by the robust flavor of the Quadrello di Bufala. It was unique with a long flavor profile. There was a strong upfront flavor that changed as the flavor remained. A soft cheese for sure, the Bufala included a nice soft texture. I found the Quadrello di Bufala first so then it was time to find another different, complimentary cheese. I was again looking for something unique, that I had yet to try. I was hoping to find a different colored cheese to add some contrast to the stark white Bufala cheese. I was disappointed that this was not more yellow/orange, but in actuality, it is much more yellow than I originally thought. I have seen various types of Barber’s 1833 Cheddar at grocery stores around the area, so I was excited to finally sample one. In the package, the cheddar appears to be hard and firm, but once opened, it crumbles in your hand. 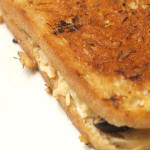 It is creamy and smooth with a great, strong cheddar flavor. Barber’s has quickly vaulted to one of my favorite varieties (along with Kerrygold). This particular cheese is the exact the reason why cheddar has become my favorite. 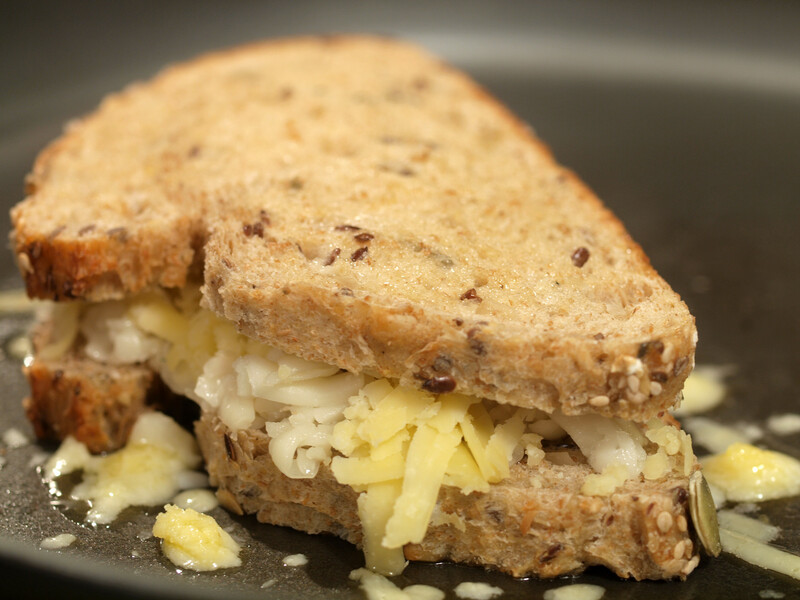 You can learn more about Barber’s cheese and farm in a Telegraph article from May, 2010. Thankfully, when I arrived at Whole Foods, they had a cornucopia of bread to choose from, ranging in price from $3-$6. There was sourdough, black russian, wheat and many others. 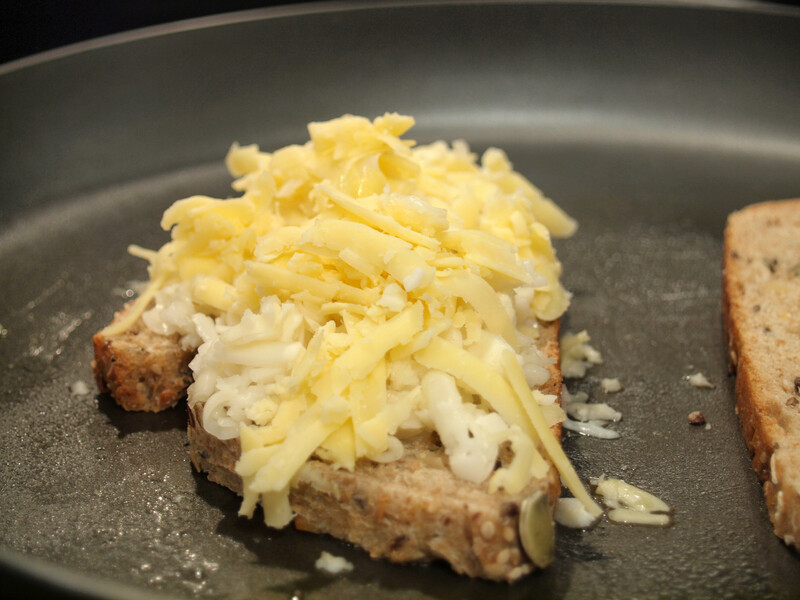 I didn’t want to be too daring as I wanted the cheese to shine through, and was not in a sourdough mood. 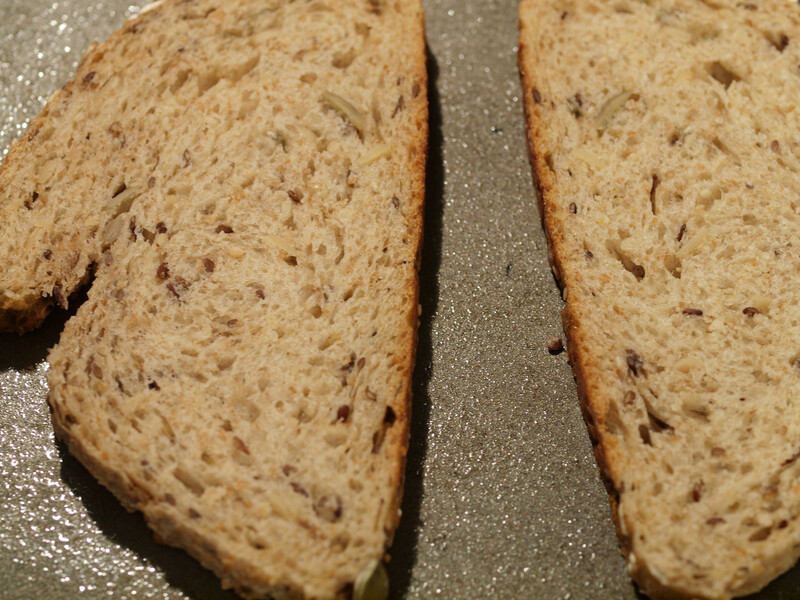 I decided on harvest wheat, a dense, hearty bread, which turned out to be the perfect choice. 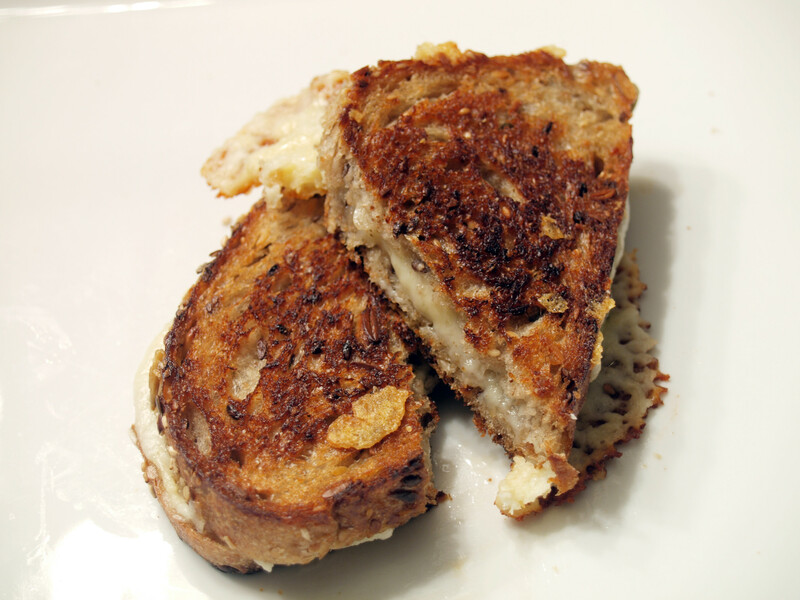 For simply walking into Whole Foods with no plan whatsoever, this grilled cheese turned out amazingly well. 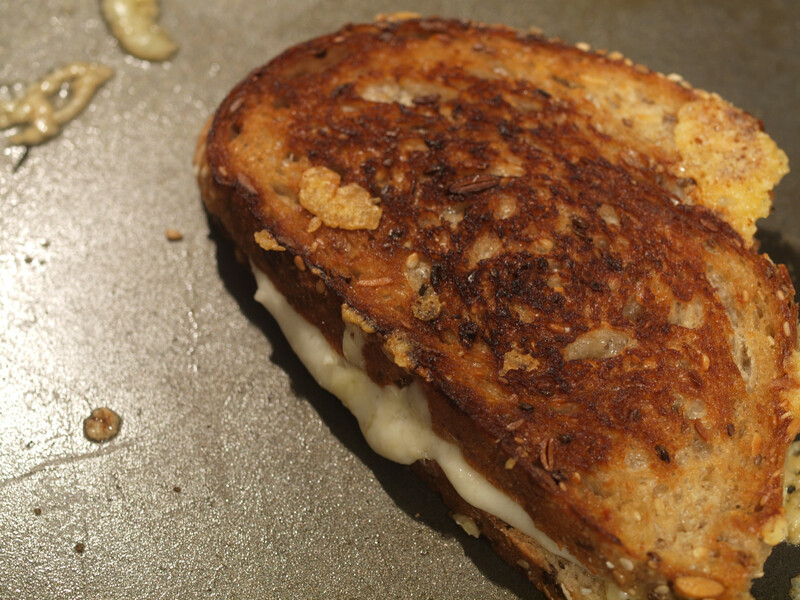 I included more cheddar in the grilled cheese, which was apparent in the overall flavor, but the Quadrello di Bufala was definitely evident as well. 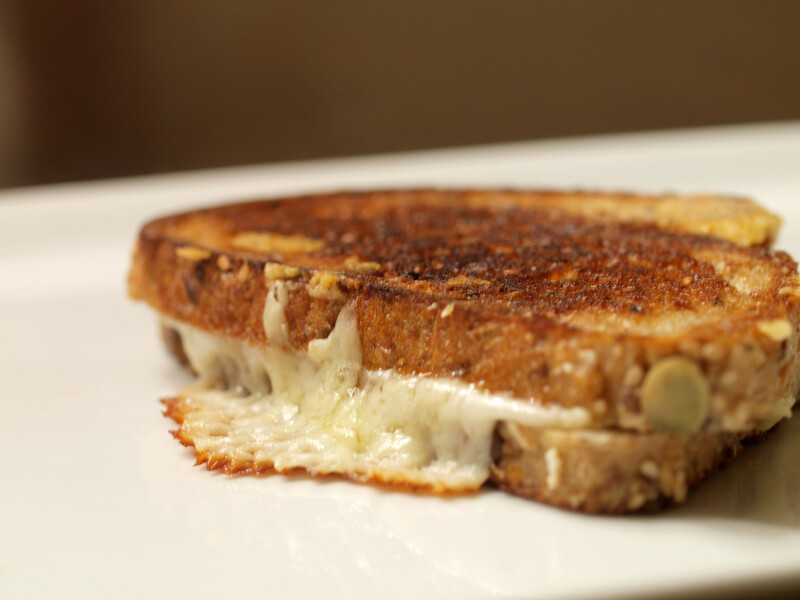 The two cheeses combined to create a spectacular flavor. 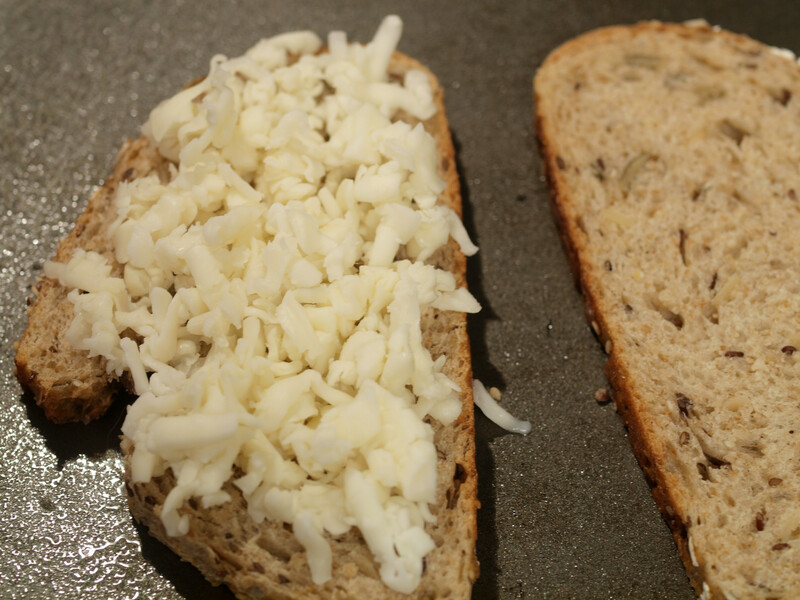 The bread was cooked perfectly with a nice crunch and a smooth, cheesy inside. 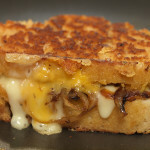 This grilled cheese worked on all levels and allowed me to try two new cheeses. A win-win. 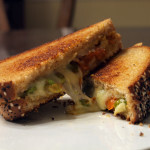 Posted in Grilled Cheese and tagged A, cheddar, extra mature cheddar, grilled, harvest wheat, Quadrello di Bufala, taleggio.